Shopkins #07 - MyMagazines - Subscribe online and save. Come on in and join the fun with the latest issue of Shopkins magazine! 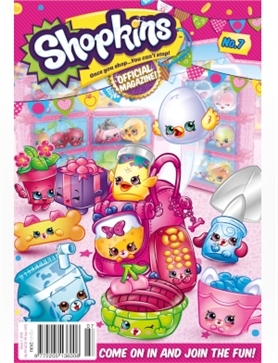 This issue is bursting Shopkins fun! Get to know Peta Plant and Hot Choc, play Shopkins games on the go and make a yummy berry smoothie with the help of your favourite Shopkins!